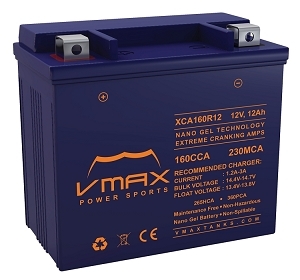 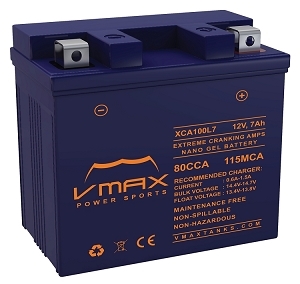 VMAX XCA Powersports Hi Performance Nano Gel Batteries. 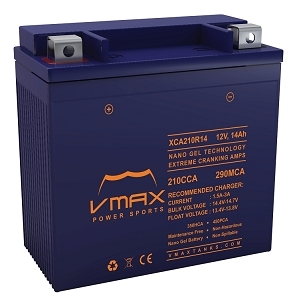 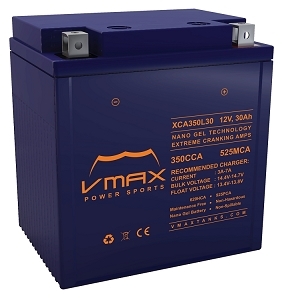 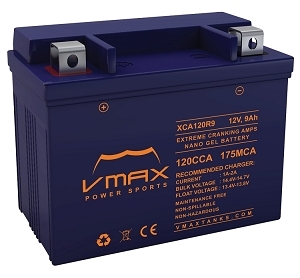 VMAX power sports Xtreme Cranking Amp batteries are known for their unmatched reliability and performance when used in motorcycles, tractors, ATVs and much more. 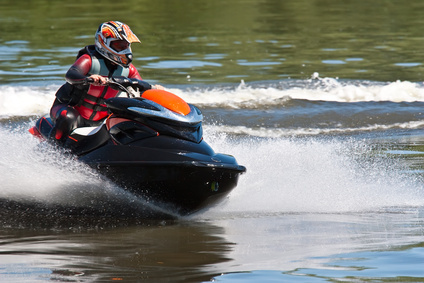 Their capabilities to deliver high currents make them fit for all power sports gas engines. 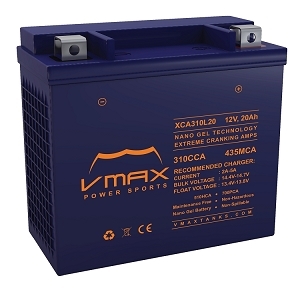 The XCA power sports series utilizes our unique nano Gel design giving them superior starting capabilities and stability at a wide range of weather and terrain conditions.